Earlier this month we reported that some Fallout 76 players had wormed their way into a developer room within the game world. It now appears that Bethesda has taken action on the matter. It began last weekend when players who entered the room were auto-banned from the game. However, despite being suspended, players were still able to transfer items to other valid accounts. So unreleased cosmetics and weapons began popping up in the game. Naturally, this led to a lot of players claiming their innocence. In response, Bethesda issued a statement. In an effort to ensure the integrity of these characters and accounts, these accounts are being temporarily disabled pending further investigation. Players that have accessed these areas and have had their accounts impacted are encouraged to contact our support team. In addition to the suspensions, Bethesda moved the developer cell to a different location. Eurogamer reports several parts of the room are still accessible, but players are unable to interact with the items within them. Things like inventory crates appear, but cannot fully load. Breeches seem to have been quelled now that Bethesda is doling out the hurt to those caught with contraband from the room. The announcement says the suspensions are temporary for now but does not indicate what needs to be done to be reinstated other than contacting support. It is also unclear how it is going to identify players with the restricted items going forward. Presumably, moderators will just be on the lookout for those using the illegal gear. 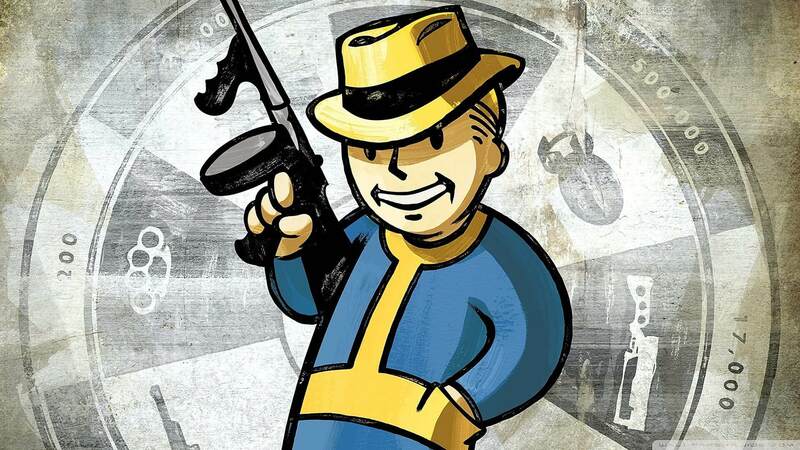 Bethesda may also have or create a software solution for scanning for the ill-gotten gains. These areas are only accessible to PC players that are using 3rd party applications to get into these areas. Ah, well in that case they deserve getting the (temp) bans. I'm so glad I never got into playing 76. Where is all the fun? Couldn't Bethesda write some code which would replace the Super-Galactic Electrified Wall Smasher appropriated from the DevRoom with Wet Willie the Wonder Noodle? What if that happened every time your HP dropped below 20? That was half of the playerbase. I can't believe they wasted all that development time and effort on a game nobody asked for and by now almost nobody wants to play. Combine that with Bethesda's increasingly tone-deaf dealings with its gaming community and you have a recipe for studio collapse. No single player game .... NO SALE! Cal Jeffrey and Capaill like this. I think all items in Fallout have an object ID. Why not just delete all the special items from the game. It could be run when each user logs in. Stop punishing the players just because you were dumb enough to put a God mode (of sorts) into the game with no effective barriers (like a RSA-style password) to access it. I wonder would they also ban speed runners who use flaws in the game to their advantage. When I heard of the dev room, I wondered if the developers would use items from the room while playing so that they could always win against the paying public. The room and the items within should never exist outside of their test servers. Despite my love for previous Bethesda games (my last purchase was Fallout 4), at this stage, I want Bethesda to collapse. And EA. And any other so-called AAA developer who thinks we, the gaming public, are so dumb that we will continue to pay big money for this rubbish. I'm done with AAA developers. They have almost all been sliding downhill for the past couple of years and it's time to give them a good kicking to remind them that we are the customers. We are the ones that matter, not their shareholders.